When Weed Is The Cure: A Doctor's Case for Medical Marijuana : Shots - Health News Dr. David Casarett used to think of medical marijuana as "a joke." But after taking a deeper look, he's changed his mind. 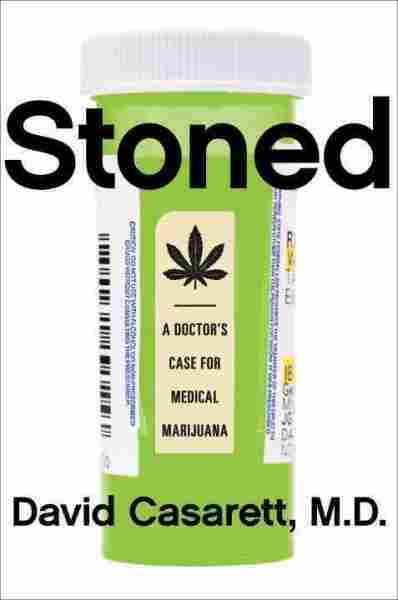 Casarett's new book is Stoned: A Doctor's Case for Medical Marijuana. But then the palliative care specialist began to look seriously into the issue, and his mind began to change: "I've come to realize there really are medical benefits to medical marijuana. ... For many of the patients I spoke with, medical marijuana is not a joke. It's not funny. It's a treatment that they've come to rely on." While researching his new book, Stoned: A Doctor's Case for Medical Marijuana, Casarett examined the limited medical studies related to the drug's use, traveled to places where it is being used legally and tested it on himself. He also spoke to patients who had used the drug to treat a variety of ailments, including seizures, post-traumatic stress disorder and neuropathic pain. The book lays out the case for marijuana's medicinal use — as well as for more research into the drug's long-term effects. "There's a fair amount of science behind it," Casarett says. "Those are medical benefits that people in the medical marijuana world — including advocates and patients — really take seriously." It turns out that some of the best evidence for medical marijuana is actually for what's called neuropathic pain, which is pain that's caused by the nerves themselves. So unlike pain that's caused by arthritis or sometimes some kinds of cancer in which the nerve endings of pain fibers are stimulated, which causes pain, neuropathic pain is caused by disruption of or damage to the nerves themselves. ... That kind of pain can be really, really difficult to treat. ... In my experience as a palliative care physician, it doesn't respond nearly as well as more traditional nociceptive pain does to drugs like morphine. So there really is a need to find newer, better treatments for neuropathic pain. And so there have been a lot of trials focusing on medical marijuana for neuropathic pain, because other alternatives for treatment are really pretty limited. 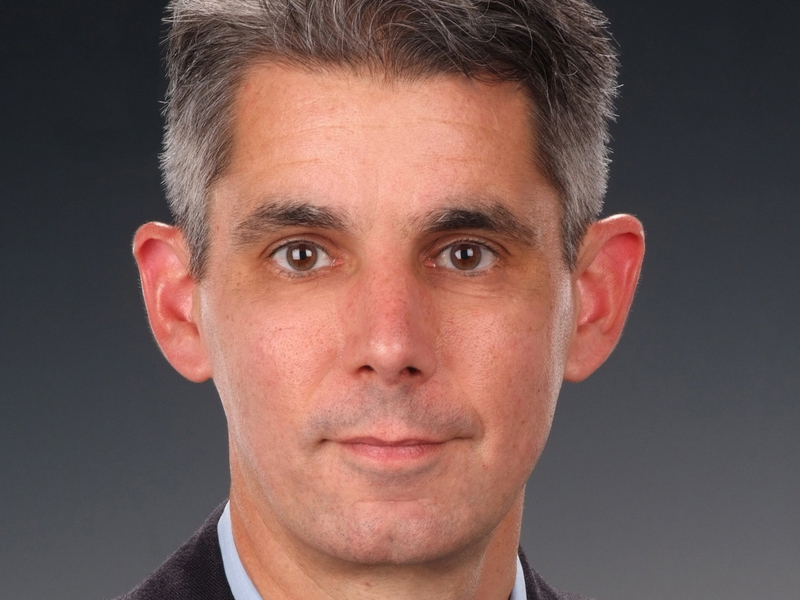 Dr. David Casarett directs the hospice and palliative care program at the University of Pennsylvania. [I heard] air traffic controllers vectoring flights into and out of the Phoenix airport — those voices were coming from my living room, where there really weren't any air traffic controllers. So THC is most important and most popular because it's the cannabinoid that is responsible for the high feeling of euphoria. ... CBD is a bit more of a mystery because it doesn't have any of those really obvious effects that THC does. We know a little bit about what it does, because we know where those receptors are. We know that CBD binds to receptors in the brain but not on neurons; it binds to receptors on something called microglial cells which are the cells that wrap around neurons and are responsible for some of the neuron's structure, holding them together. But they also have an immune function. They're sort of the brain's immune cells. ... CBD also binds to cells in the immune system, so CBD receptors are fairly common in lymph nodes and also in areas of the body where there's a lot of immune activity like the [gastrointestinal] tract. An anesthesiologist and a pain researcher I spent some time with, researching this book, is very interested in the use of marijuana to treat neuropathic pain. And he's becoming increasingly convinced that it might actually be CBD and not THC that's responsible for some of the benefits for neuropathic pain. And he's doing clinical trials that are involving lower and lower amounts of THC and higher and higher amounts of CBD, and seeing some of the same effects on pain. Which is interesting, because again, CBD doesn't cause that high, euphoric feeling, but if it has therapeutic benefits, there are enormous opportunities for figuring out how to use that appropriately and productively for those people — and there are a lot of them — who really don't want to feel high. They don't want any of that recreational marijuana feeling. They really just want relief of pain or nausea. There's no question that the war on drugs has set back medical marijuana research and cannabinoid research in general by probably decades. The problems with eating [marijuana] are twofold: One is the absorption time can be widely variable, so you and I might eat a square of marijuana-infused chocolate at the same time but — because of differences in the way that our GI tracts work, differences in the degree that our livers metabolize the main forms of cannabinoids that are occurring in medical marijuana (CBD and THC) — you may feel the effects within 15 minutes, [and] I may not feel those effects for an hour or more. Or I may never feel those effects, or vice versa. Also, in general, it takes a long time — long in terms of half an hour to an hour — before people begin to feel the full effects. And a common problem that many first-time users experience is eating a brownie or a square of chocolate or a gummy bear, waiting for 15, 20 minutes, not feeling any effect. And so they try another one and another one and another one, all the while those doses are stacking up, so when they begin to feel an effect in an hour [or] hour and a half, they've taken too much. ... So it's fairly easy to get the active ingredients of medical marijuana by eating, but it takes some care and some timing and some familiarity with what you're doing, how you're doing it and what the concentrations of THC and CBD are in that gummy bear or that square of chocolate. There's no question that the war on drugs has set back medical marijuana research and cannabinoid research in general by probably decades. Marijuana in the United States is classified as a Schedule 1 substance, which is reserved for those substances like heroin that have significant risks, including the risk of addiction, but, in theory, [have] no medical benefits. And that categorization really has slowed down the process of research. It's been hard to get medical marijuana; it's been hard to do clinical trials; it has left a lot of patients essentially to their own devices.